'If you build it, they will come'. 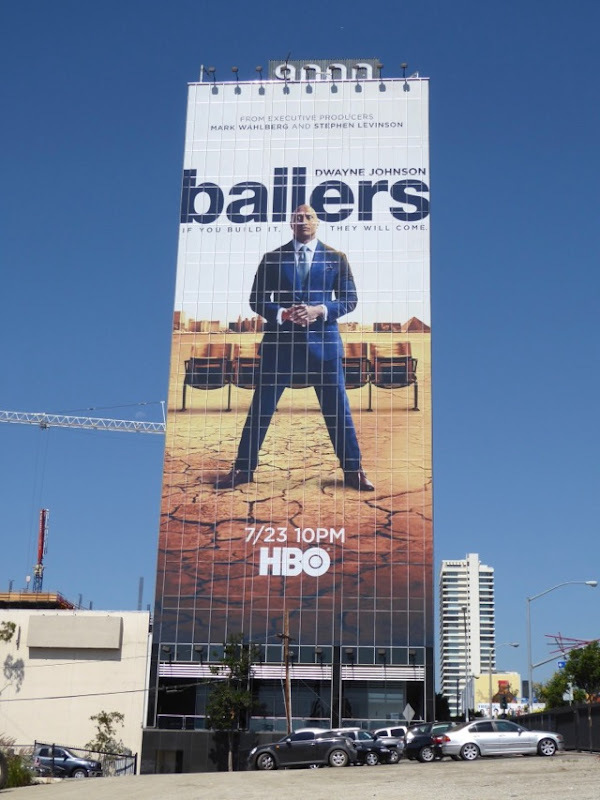 That's pretty much what Daily Billboard's philosophy was when creating this unique blog, and come they did, so welcome one and all. 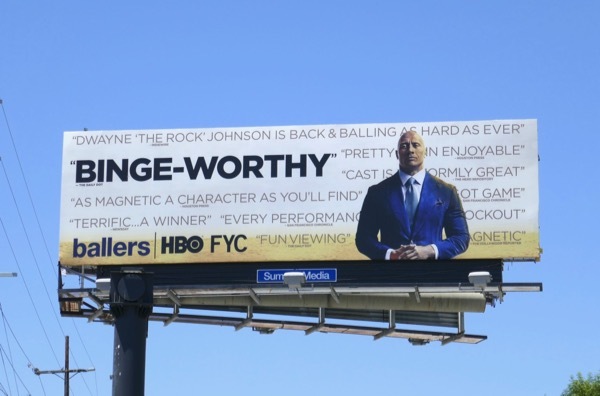 And when it's the imposing figure of Dwayne 'The Rock' Johnson in an impeccably tailored suit saying it, how could you refuse. 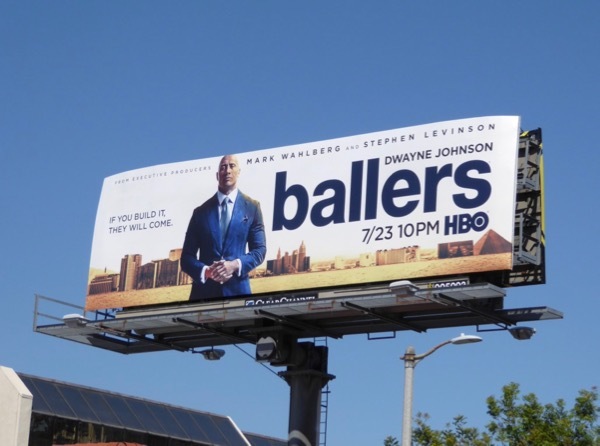 The former pro wrestler and seemingly one of the busiest men in Hollywood (alongside Kevin Hart) is back for the third season of his HBO comedy drama, Ballers. 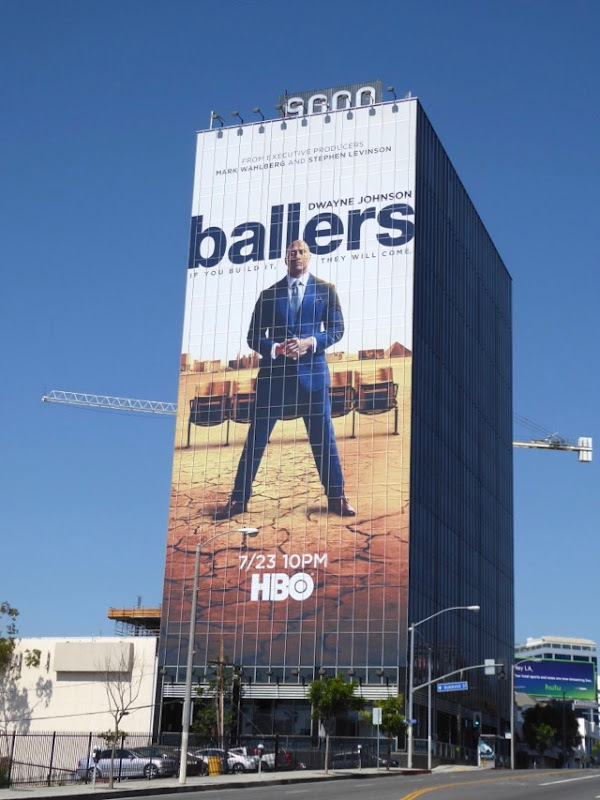 He reprises his role as 'Spencer Strasmore', a retired professional American Football player who has reinvented himself as a financial manager for current players in sun-drenched Miami, although this season it looks like he's dreaming big and wanting to bring a football team to Las Vegas. 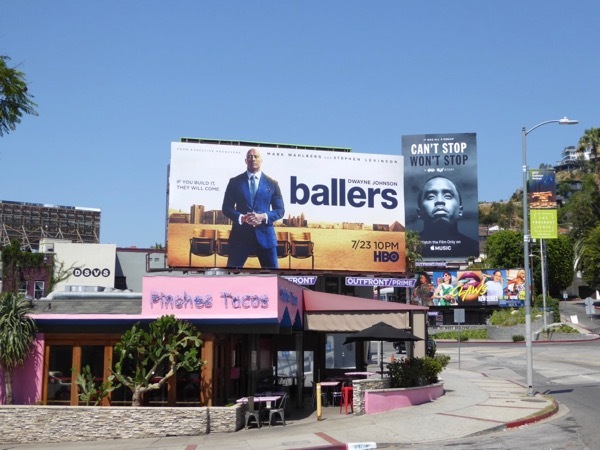 These season three landscape billboards were snapped along Ventura Boulevard, Westwood Boulevard and Sunset Boulevard from July 2 to July 6, 2017. 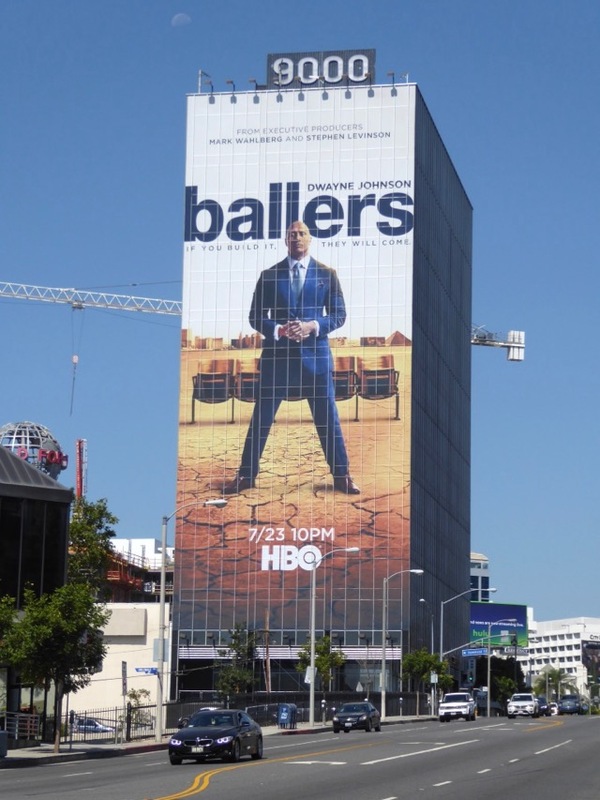 Meanwhile the giant-sized ad creative was photographed looming large over westbound traffic along the Sunset Strip in West Hollywood on July 15, 2017. 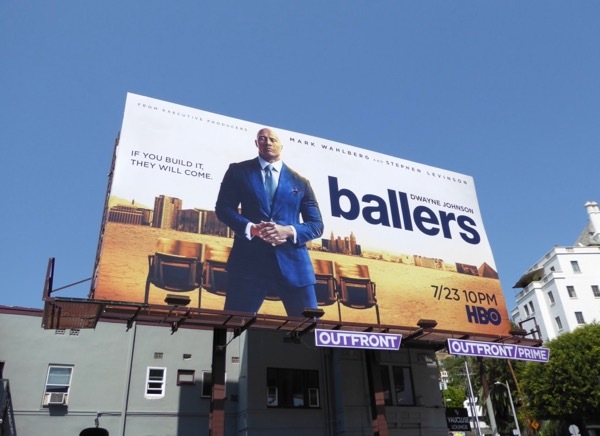 Fans of the show can also enjoy these previous season promo billboards for Ballers, whilst admirers of the actor can also enjoy these Baywatch movie billboards, these Hercules movie billboards, these G.I. 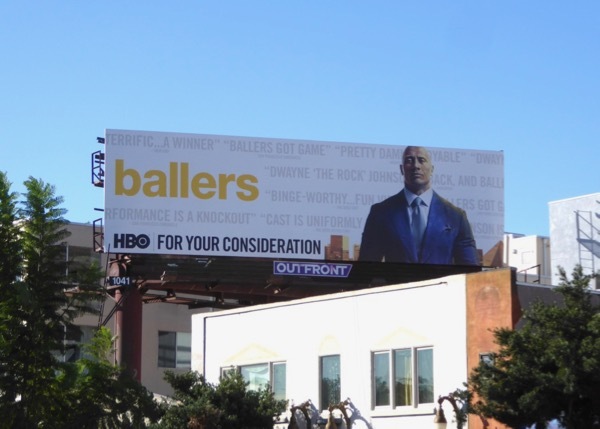 Joe Retaliation movie billboards and even these 2016 MTV Movie Awards billboards. 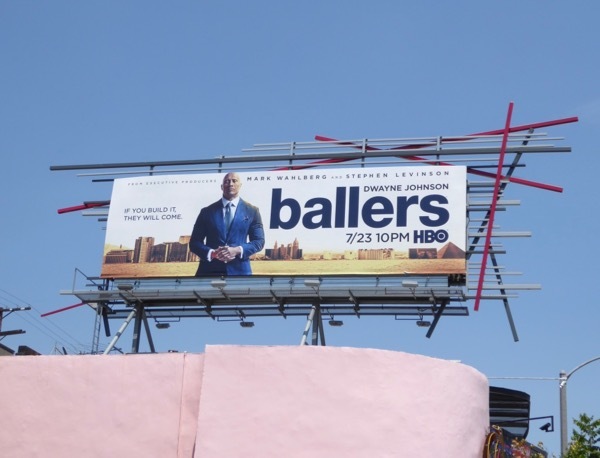 And apparently even Massachusetts Senator Elizabeth Warren is a superfan of the show, so how can you resist an endorsement like that to watch the series. 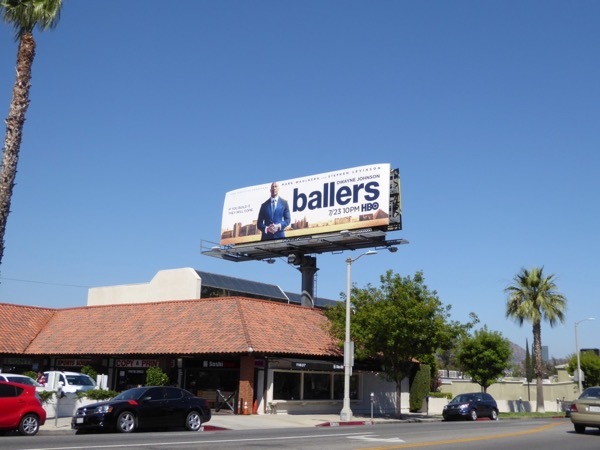 Get ready to ball hard once again. 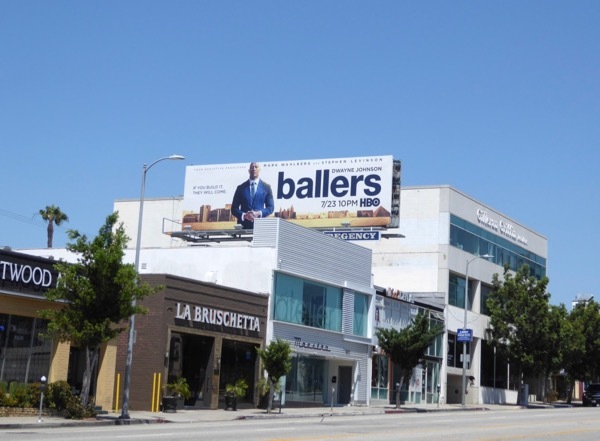 UPDATED: Here's also an awards consideration billboard for the third season of Ballers snapped along Fairfax Avenue on December 5, 2017. 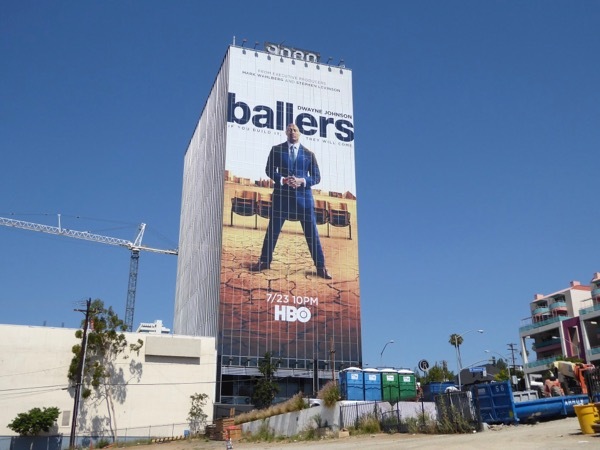 UPDATED: And here's the Emmy consideration billboard spotted along Venice Boulevard on June 2, 2018.